Do you have the seven year itch to change the flooring in your home? On average that’s the lifespan of a floor before it is replaced. American Carpet Wholesalers can help make that decision with you. 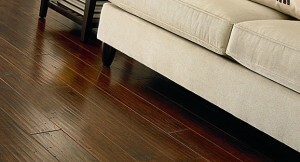 Particularly if you are looking for a hardwood or engineered hardwood floor. The Mannington Inverness collection is a solid contender for many flooring projects. Why? Well, Mannington has been manufacturing engineered hardwood floors since 1915 and the Inverness collection of engineered hardwood plank is the result of all those years of work. The planks all benefit from a rich glaze on the plank face and beveled edge, and the hand planed finish and texture is brilliant. Especially in the Walnut variety with the ruddy colors. The planks are 1/2” thick and come in at 5” wide. A 5” wide plank is a preferred width for many of today’s homes, any thinner and you can get too much pattern and any wider and smaller rooms get swallowed up by the floor. Of course, being engineered planks the Mannington Inverness planks can be installed on any grade or level of your home and are more stable than a traditional hardwood due to their construction. Plus, with engineered hardwood flooring you get the choice of a floating, glue, staple or nail down install. 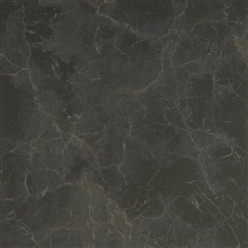 With Mannington’s Scratch Resist patented performance coating the floors will look newer longer. The Aluminum Oxide gives Mannington Inverness engineered hardwood floors terrific resistance to everyday scuff and scratch events. 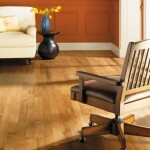 To see the entire collection of Mannington engineered hardwood floors click here. To see the Inverness collection, especially the Black Isle Walnut visit American Carpet Wholesalers website here. Of course, you can always call the ACWG flooring experts and discuss your flooring needs. The staff has years (decades in some cases) of experience and will be happy to talk to you at 800-548-2706.